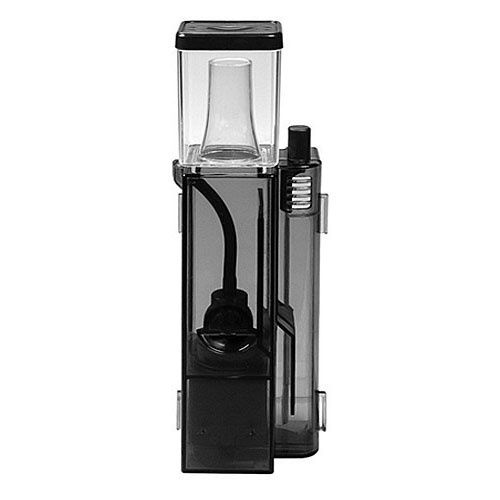 Our Compact Protein Skimmer Effectively Removes Organic Waste In Aquariums Up To 30 Gallons! 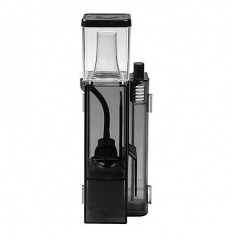 The ideal protein skimmer for nano-tanks will mount inside the aquarium, or is small enough to fit in most rear overflow or filtration compartments. The Internal Mini Skimmer 115 measures only 3" x 3-1/4" x 10-5/8" high to provide outstanding filtration in saltwater aquariums up to 30 gallons. This low profile, compact protein skimmer is powered by an 8 watt needle-wheel impeller pump for maximum air-to-water contact and energy efficiency, delivering very effective organic waste removal. Water flow may be adjusted with the turn of a knob. Mounting bracket and suction cups included for convenient placement and quiet operation inside your aquarium or sump, or the included adjustable mounting bracket fits all standard aquarium frames. Item 510114.